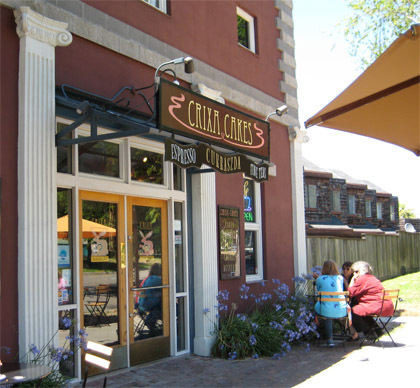 Crixa Cakes – Berkeley | Ooh, my favorite! I mentioned last week that I had quite the food itinerary for the weekend with my soon-to-be-gone foodie friend Brian. We spent Friday night eating around Sunnyvale with his roommate and all day Saturday on a sweets tour of Berkeley. 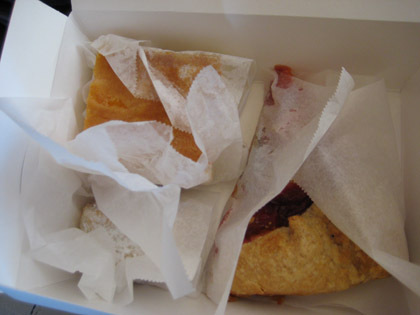 One of the favorite stops was Crixa Cakes, the cutest little Eastern European bakery with some of the best pastries and pies that I’ve had in a while. Very different from other styles of pastry, Crixa has mastered the art of avoiding the sickeningly sweet treat. 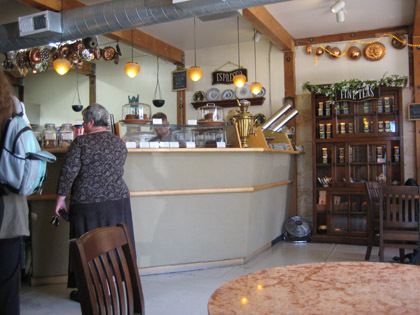 Inside is comfortable and homey with the lovely cases of cakes and pies giving way to the kitchen just beyond. Eight or so marble top tables line near the windows, or if you prefer there are a few tables and chairs just outside. It’s a great spot for a morning alone with a good book if you’re flying solo. There was also a takeaway container for later, but we kinda got into that too. 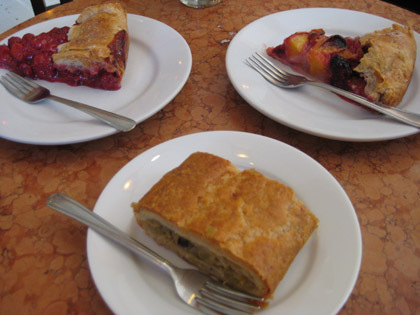 I believe there was an apricot cake, a cinnamon rugelach, and a peach blackberry pie. 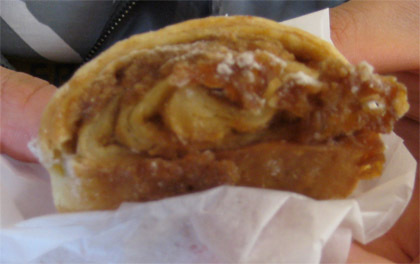 I had a bite of the rugelach and it was unbelievably good! Looking back I wish I’d gotten some to takeaway as well, but that would have been dangerous as I would have had to eat it all myself. I’m already counting down the months until their pumpkin pie returns; my trip before Thanksgiving last year is still haunting me. Poor Brian, he will most definitely need some consoling when November rolls around. Nevertheless, it was a wonderful way to send him off, and an even better way to spend a beautiful Saturday in Berkeley. These desserts look so good. I have a separate stomach for sweets, so no matter how full I get I always have room for dessert.